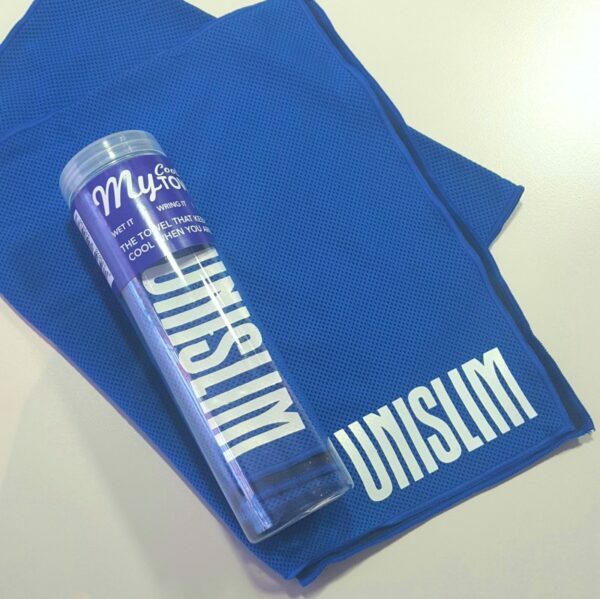 Look and stay cool with an exclusive Unislim “Cooling Towel”. A lightweight, microfibre towel that has been specially designed to help you stay cool. Activates with warm or cold water, cools instantly when water is applied. The Cooling Towel provides UPF 50 Sun Protection. When wet, this great towel will stay cold for hours. When dry, it will efficiently absorb sweat help you dry off. Ideal for cooling natural heat zones, like neck and back of legs.